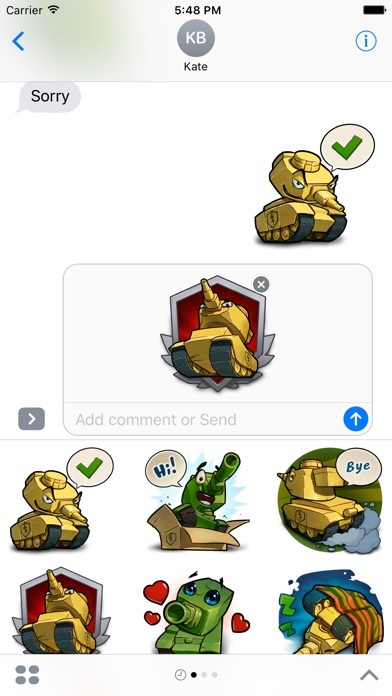 SO far, these are the two tanks that appeared in the emojis. 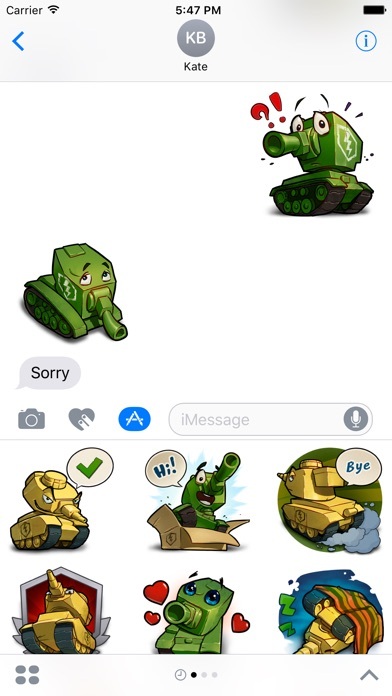 The green one was the KING OF DERP TANKS- KV-2 from U.S.S.R. , if my eyes are right. The next one are probably a german as from the track, but can also be one of the American ones. For now, it look like the award vehicle Kuo Mori Mine because of the color, track and shape. NOW, I am kind of unhappy with this because I think that the different types of emoji can be expanded to fit in more items (ex: 😎,😅,😑,👻) are something that can be used in daily life but lacks in this one. 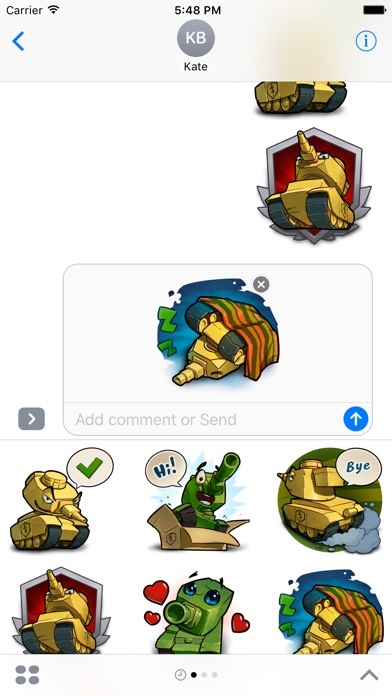 I am hoping to have more game elements (AMMO RACK, PENETRATION, BOUNCING SHOTS, shells (AP, APCR, HE, HEAT, etc, Tank Destroyers, Heavy, Medium, Light.....) YOu have AFFIRMATIVE, but no NEGATIVE. 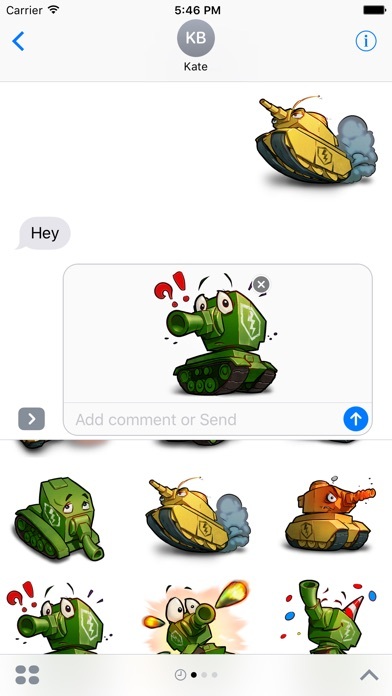 That one 'd better come from KV-2........ ANYWAY, Looking forward, but this is nothing bad.